There’s no need to install additional tools from the command line, as I explained in the “How to rip DVDs with HandBrake” article. You can also rip Blu-ray discs with MakeMKV and then convert these files to iTunes-compatible files. If you don’t want to store your videos in iTunes, you can play them with the free VLC media player, and you can view them in the iOS version of VLC as well. And if you use Plex to manage and view videos, then you can use the MKV file as is; Plex can read and play this type of file, and it’s got great apps for iOS and the Apple TV. Here’s how to use MakeMKV to rip optical discs, and how to convert them with HandBrake. Get the free MakeMKV. (This app has been in beta forever, and you can get a free beta key from the developer’s forum.) This app rips your DVD or Blu-ray disc and converts it to an MKV file. You cannot play the MKV file in Apple’s apps—iTunes, or on an iOS device—but you can use the file as a source for Handbrake to convert. You’ll need an optical drive to rip DVDs, and if you want to rip Blu-rays, you’ll need a Blu-ray drive (which can also rip CDs and DVDs). I have long used the Pioneer BDR-XD05B, which is a bus-powered drive (it doesn’t need a separate power supply) that supports USB 3. This drive is sturdy and reliable. While macOS doesn’t support Blu-ray discs, any software that can read such discs will be able to do so from this drive, or any other. Launch MakeMKV, insert a disc in your optical drive, then click the big button that looks like an optical drive. MakeMKV will read the disc, then display its contents. If you click the disclosure triangle next to the disc, you can choose to exclude different parts of a disc, such as the main feature and bonuses, or different episodes for a TV series; you can also exclude any audio and subtitle tracks you don’t need. Note that ripping Blu-rays can take a long time; on my 5K iMac, it takes about as long as the duration of the video (i.e., a 2-hour movie takes two hours to rip). And the resulting files can be quite large, as much as 30-40GB. If you want to store your videos in MKV format, you can stop here. As I said above, you can play these with VLC or with Plex, and many users will find these apps an ideal solution for managing a ripped video library. I use Plex for all my videos, other than those bought from iTunes. Plex can’t play videos with DRM, such as that on iTunes movies and TV shows. As I said, these files are very large. You won’t get many on an iOS device, and you may even have trouble streaming them on your home Wi-Fi network. You might want to convert them to smaller MKV files. I explain how to do this below. If you do want to convert your video to an Apple-compatible format that you can add to your iTunes library, play on an Apple TV, and sync to an iOS device, it’s time to use HandBrake. I won’t go into detail here about how to do this. My previous article explains how to rip a DVD with HandBrake. When you have an MKV file, you choose it as a source in HandBrake, and follow the same procedure as with a DVD. If you want to retain your videos in MKV format but save space, you can use HandBrake to convert these videos to smaller MKV files. In the Presets drawer, click the disclosure triangle next to Matroska (MKV stands for Matroska video) and choose one of the presets. I recommend using the H.264 MKV 1080p30 preset for Blu-rays, and the H.264 MKV 576p26 or H.264 MKV 480p30 presets for DVDs. (See my previous HandBrake article for an explanation of the difference between 576 and 480 line videos.) H.265 is a newer compression codec that might not be supported on all your devices, and VP8 and VP9 are codecs designed by Google, which you may not be able to play on Apple devices. In my experience, converting a 30-40GB MKV file (a 2-3 hour movie) to an .m4v file with HandBrake results in a file about 6-10GB. Converting the same MKV file using the H.264 MKV 1080p30 preset gives you a much smaller file, around 3-4GB. And the conversion takes about as long as the duration of the video on my 5K iMac, so ripping and converting a 2-hour movie takes about four hours altogether. So you have several options: rip a DVD with HandBrake, or rip a DVD or Blu-ray disc with MakeMKV. And you can then choose to create an Apple-compatible file to use with iTunes and iOS devices, or use an MKV file with other apps, such as VLC or Plex. 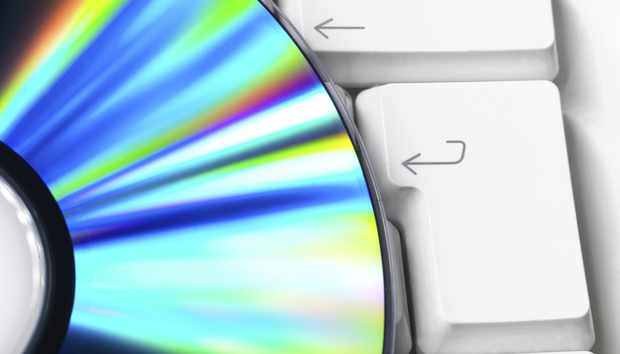 No matter which method you choose, you’ll be able to easily rip any of your optical discs and digitize some or all of your video collection. The only other thing you need is time.